I first learned about this helpful savings tip from a co-worker who had set-up a baby registry at Target. After her baby was born, she told me that she was going to purchase some of the items that were left unpurchased on her baby registry at 15% off because Target had sent a “completion coupon”. This coupon entitles registrars the ability to buy anything left on their registries online or in-store. I thought this was a great deal – especially since many of the items on the lists are things a person may need. When you create a Baby, Wedding or College registry with Target, we offer a 15% off completion coupon for the items remaining on your registry (some exclusions apply). We’ll send an email notification when your coupons are available to print. You can also access your coupons by signing into your registry and selecting get your completion coupon. Please note that your registry needs to be active for at least 14 days before your completion coupon will be generated. 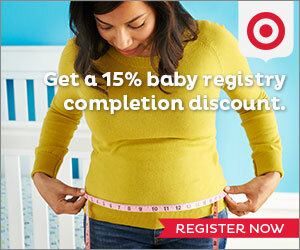 So, you’ll need to have the registry live for least 14 days before you can receive the 15% off coupon. You’ll receive your coupon eight weeks before your event date, valid for one order on Target.com and one transaction at a Target store. You’ll receive your coupon two weeks before your start date, valid for one online order which expires six months after your start date. You’ll receive your coupon the week of your event date, valid for one order on Target.com and one transaction at a Target store. To get even more savings at Target, use this coupon with your 5% REDcard. To get more details on the completion coupon at Target. Have you heard about OR taken advantage of this extra savings at Target before? TTG may receive some compensation from Target if you make a purchase via the above banner, at no cost to you. 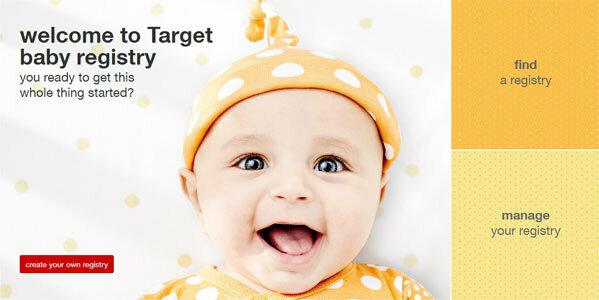 I bet that Target is one among many department stores that offers special discounts for babies, college, weddings, and other events. Always good to keep a lookout for any way to save. Thanks for the heads up. Guys, you need to reconsider your promotion of Target Stores. As you may know, they have declared their restrooms gender neutral, and this has led to dozens of scary (for women and children) incidents of men entering women’s restrooms and acting inappropriately. If any of you have daughters, this would scare me to death. American Family Association (AFA.net) has called for a boycott of Target Stores until they reverse their ridiculous and dangerous policy regarding restroom use. Over 1.5 million Americans have already pledged to support this boycott, and it has shown up dramatically at Target’s cash registers and in their stock price. The reason they are doing discounts like you are promoting above is because they are hurting for customers. I would encourage you to rethink your involvement with Target Stores. Aaron, I think it’s a little more serious than “having a beef with” Target. They are seriously endangering girls and women. Very surprised (and disappointed) that you guys don’t care about such things.